We did it again. 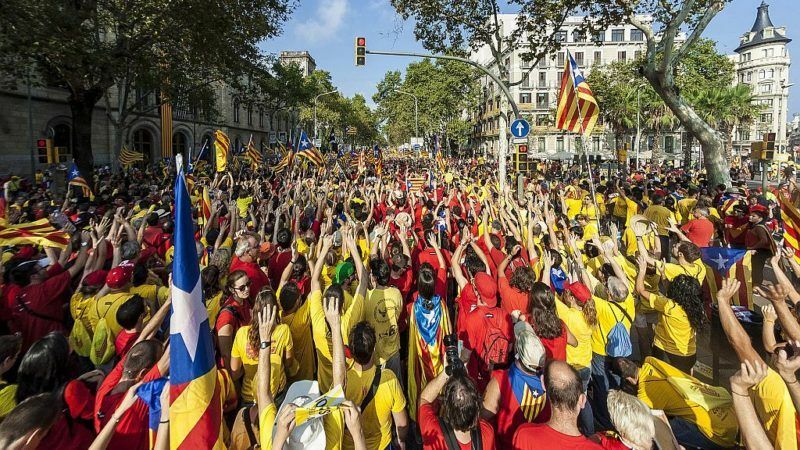 On 11 September, a crowd of one million people gathered again in the streets of Barcelona – and it was already the sixth consecutive year – calling for independence for Catalonia. And once again it was all conducted in a peaceful and civil manner, with not a single incident to regret, writes Jordi Solé. Jordi Solé is a member of the European Parliament for the Greens/European Free Alliance. He is from Catalonia and supports the independence referendum. But this time was different. People’s faces looked more cheerful and determined than ever. Why? 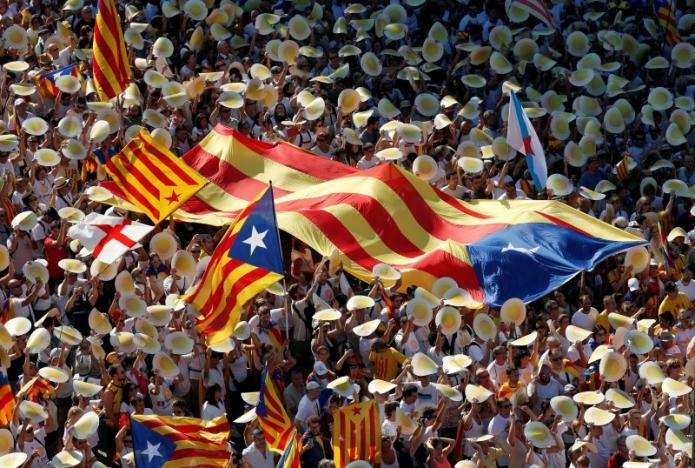 Because the rally came less than three weeks before Catalonia holds a decisive vote on independence, something a significant proportion of Catalans have been aiming for in recent years. So we will hold a vote. And who could be against a vote? Could any democrat be against the use of ballot boxes to ask people’s opinion? Could any democrat be against a referendum endorsed by more than 80% of citizens and promoted by a legitimate government and a parliamentary majority? In fact, the most legitimate, given the 2015 Catalan parliamentary elections which had the highest voting turnout in the recent history of Catalonia. Could any democrat be against a referendum that comes after all other possible avenues for agreement have been blocked time and again by the intransigence of the Spanish government and main political parties? Could any democrat be against the implementation of the self-determination principle –prominently embodied in Article I of the UN Charter – not through wars as was so often the case in history, but through purely democratic means? But yes, some do oppose allowing Catalans to vote and freely decide our own political future. In fact, there is fierce opposition from the Spanish central government. With the argument that this vote would be illegal, they are threatening the entire Catalan government and 75% of Catalan mayors with criminal charges. They have shut down websites and raided newspapers, they have put pressure on the media and civil servants, they ban public debates, they desperately search for ballot papers and ballot boxes, which they regard as something very dangerous. For the sake of the sacred unity of their nation, they are jeopardising fundamental rights and the normal functioning of democracy. And I am not talking about Turkey or the past. I am talking about an EU member state now. Their only argument is “rule of law first, and then democracy”. It might be true that this vote would be against the Spanish Constitution. But to be quite precise: against a specific, narrow-minded and short-sighted interpretation of the Constitution. As some prominent lawyers and even some fathers of this constitutional text have emphasised, if only there was the political will to do so, it would be perfectly possible to allow a vote within the current constitutional framework. Political will and bravery, that’s precisely what Rajoy’s government has been lacking from the very beginning. And to no-one’s surprise. They were the ones who campaigned ten years ago in an ignominious way against a new Catalan home rule which was already endorsed by both the Catalan and Spanish parliaments and by Catalan citizens through a referendum. They were the ones who, playing games with anti-Catalan feelings, finally managed to water down our home rule and thus inflicted a democratic humiliation upon the will of the people. How could anyone now expect political bravery from such irresponsible politicians? They say pro-independence politicians are seditious. Well, we played by the rules in trying to improve Catalonia’s status within Spain, and even then they did not respect our democratic will. Isn’t it ironic that the ones proclaiming that the rule of law must be respected are those ruling a country that holds the record for not complying with EU laws? Isn’t it ironic that these champions of law are those with hundreds of party members charged with alleged corruption cases, one of the largest numbers in Europe? There is no fair rule of law without democracy and without democratic behaviour. It is for the law to adapt to the democratic will of the people. If that’s not the case, then the law is unfair. And if an unfair law cannot be changed, then other democratic ways will be found. We just want to vote. And we will do it. It’s our right, as EU citizens. Well If he would support Separatistes breaking up the EU and every nations in pieces then he isn’t better than any other Fron National parties . At least Francisco Franco wanted the Unity in Spain . But this is exactly as it always was difference like those stupidities which will slowly end the E.U. in risking to provoke a civilian war . The Constitution of Spain shall not be breached by force and that’s exactly what political separatists are doing . But Spain always knew how to defend itself even on many costs . But ypu have to die again to know what caused the suffer in WW2 when nations all over the world begann killing each other . The Unit makes stronger and America the United States of America has understand that long ago. So the parliament has another derailed green Mep. Does the EU Parliament consists of such Nationaliusts including the commission …seems to be an unbelievable truth .